Our team of doctor consultants selected four of the most respected evidence-based medicine databases – that are also particularly useful for wellness-focused research: Natural Standard, The Cochrane Library, PubMed and the TRIP Database. Please read “Important Things to Know,” including info on each database. We’ve made researching a particular therapy simple: the evidence for Acupressure has been pre-searched for you at each database. Please note the “Research” sections for Smoking Cessation, Weight Loss and Workplace Wellness will launch October 2014. We’d like to hear from you: please let us know of Wellness Evidence disciplines you would like to be able to search on these pages. The practice of applying finger pressure to specific acupoints throughout the body has been used in China since 2000 BC, prior to the use of acupuncture. Acupressure techniques are widely practiced internationally for relaxation, wellness promotion, and the treatment of various health conditions. Multiple human studies suggest the effectiveness of wrist-point (P6) acupressure for treating nausea. Shiatsu means finger (Shi) pressure (Atsu) in Japanese. Shiatsu technique involves finger pressure at acupoints and along body meridians. It can incorporate palm pressure, stretching, massaging, and other manual techniques. Shiatsu practitioners commonly treat musculoskeletal and psychological conditions, including neck/shoulder and lower back problems, arthritis, depression, and anxiety. Tuina (Chinese for “pushing and pulling”) is similar to shiatsu but with more soft tissue manipulation and structural realignment. Tuina is a common form of Asian bodywork used in Chinese-American communities. The grades A-F ascribed to the specific health conditions below have a very specific meaning. i.e., a “C” can still mean evidence of benefit from a small randomized trial, etc. Read about what each grade actually means. It is proposed that acupressure may reduce muscle pain and tension, improve blood circulation, release endorphins, and release/eliminate toxins. The mechanism of action may be similar to other techniques such as acupuncture (stimulation of acupoints with needles), moxa (burning with a stick including dried mugwort leaves), or other forms of manual stimulation. Techniques that involve soft tissue manipulation may have similar effects on the body as therapeutic massage. Abuse (sexual, physical, psychological), angina, attention deficit hyperactivity disorder, anorexia nervosa, apoplectic hemiplegia, arthritis, beauty treatment, Bell’s palsy, bloating (after surgery), cancer therapy for children, cancer treatment side-effects (other than nausea), carpal tunnel syndrome, cerebral birth injuries (infants), childbirth facilitation/induction, colds/flu, congestion, constipation, chronic fatigue syndrome, dementia, edema, emotional repression/trauma, eyestrain, fatigue, fibromyalgia, gag reflex abnormalities (for prevention during dental procedures), gastrointestinal disorders, gum disease, head injury, HIV/AIDS, hormonal pain, hyperactivity, immune deficiencies, itchiness, joint inflammation, jetlag, kidney infection (related pain), menopausal pain, multiple sclerosis, muscle tension/ache, neuralgia (postherpetic), optic atrophy, organ transplantation, phobias, poor circulation, post-traumatic stress disorder, prolapse of lumbar intervertebral disc, psoriasis, recurrent urinary tract infections, renal disease, restless leg syndrome, Rett syndrome, sickle cell anemia (pain), sinus problems, sports injuries, stress, sunburn pain, tendonitis, toothache, ulcer pain, weight gain (premature infants). This patient information is based on a professional level monograph edited and peer-reviewed by contributors to the Natural Standard Research Collaboration (www.naturalstandard.com): Wendy Chao, PhD (Natural Standard Research Collaboration); William Collinge, PhD, MPH (Collinge & Associates); Dawn Costa, BA, BS (Natural Standard Research Collaboration); Jill M. Grimes Serrano, PhD (Natural Standard Research Collaboration); Shaina Tanguay-Colucci, BS (Natural Standard Research Collaboration); Catherine Ulbricht, PharmD (Massachusetts General Hospital); Wendy Weissner, BA (Natural Standard Research Collaboration); Regina C. Windsor, MPH (Natural Standard Research Collaboration). Natural Standard developed the above evidence-based information based on a thorough systematic review of the available scientific articles. Selected references are listed below. Agarwal A, Ranjan R, Dhiraaj S, et al. Acupressure for prevention of pre-operative anxiety: a prospective, randomised, placebo controlled study. Anaesthesia 2005 Oct;60(10):978-8. Barker R, Kober A, Hoerauf K, et al. Out-of-hospital auricular acupressure in elder patients with hip fracture: a randomized double-blinded trial. Acad Emerg Med 2006 Jan;13(1):19-23. Chen HM,Chen CH. Effects of acupressure at the Sanyinjiao point on primary dysmenorrhoea. J Adv Nurs 2004;48(4):380-387. Cho YC, Tsay SL. The effect of acupressure with massage on fatigue and depression in patients with end-stage renal disease. J Nurs.Res 2004;12(1):51-59. Harris RE, Jeter J, Chan P, et al. Using acupressure to modify alertness in the classroom: a single-blinded, randomized, cross-over trial. J Altern Complement Med 2005 Aug;11(4):673-9. Ho CM, Tsai HJ, Chan KH, et al. P6 acupressure does not prevent emesis during spinal anesthesia for cesarean delivery. Anesth Analg 2006 Mar;102(3):900-3. Hsieh LL, Kuo CH, Lee LH, et al. Treatment of low back pain by acupressure and physical therapy: randomised controlled trial. BMJ 2006 Mar 25;332(7543):696-700. Maa SH, Sun MF, Hsu KH, et al. Effect of acupuncture or acupressure on quality of life of patients with chronic obstructive asthma: a pilot study. J Altern Complement Med 2003;9(5):659-670. Puangsricharern A, Mahasukhon S. Effectiveness of auricular acupressure in the treatment of nausea and vomiting in early pregnancy. J Med Assoc Thai. 2008; 91(11):1633-8. Roscoe JA, Jean-Pierre P, Morrow GR, et al. Exploratory analysis of the usefulness of acupressure bands when severe chemotherapy-related nausea is expected. J Soc Integr Oncol 2006 Winter;4(1):16-20. Sheehan P. Hyperemesis gravidarum–assessment and management. Aust Fam Physician 2007 Sep;36(9):698-701. Smith CA, Collins CT, Cyna AM, et al. Complementary and alternative therapies for pain management in labour. 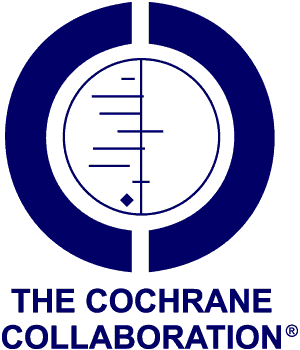 Cochrane Database Syst Rev 2006 Oct 18;(4):CD003521. Stein DJ, Birnbach DJ, Danzer BI, et al. Acupressure versus intravenous metoclopramide to prevent nausea and vomiting during spinal anesthesia for cesarean section. Anesth Analg 1997;84(2):342-345. Tsay SL, Wang JC, Lin KC, et al. Effects of acupressure therapy for patients having prolonged mechanical ventilation support. J Adv Nurs 2005 Oct;52(2):142-50. Wang SM, Escalera S, et al. Extra-1 acupressure for children undergoing anesthesia. Anesth Analg. 2008; 107(3):811-6.